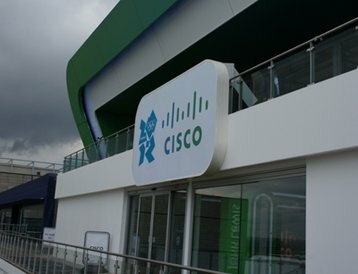 Cisco has signed a memorandum of understanding with Data Mount, a hosting company in Oman, agreeing to supply hardware, networking equipment, as well as managed cloud and security solutions for the country’s largest data center, currently being built in Jebel El Akhdar, 150km (93 miles) from the capital of Muscat. Data Mount will use the facility to offer disaster recovery and cloud services – the latter is a new addition to the company’s offering, which traditionally included wholesale colocation and managed data center services. Cisco will supply the underlying technologies. The data center will serve government and enterprise customers, with “a strong focus on the banking industry," Data Mount’s deputy chairman, Al-Muslahi, told TradeArabia. The introduction of cloud services, Al-Muslahi said, is in line with the Digital Oman Strategy, originally set out by the Sultanate in 2008, which aims to diversify the country’s economy - mostly reliant on oil and gas exports, though it has a growing tourism industry - by encouraging wider adoption of digital services. The initiative has seen the implementation of networking projects, like that of Ooredoo, which claimed in January to have connected 77,000 homes with fiber broadband. The Sultanate’s first private telecommunications company, headquartered in Qatar, said at the time that it would provide 4G connectivity to 90 percent of Oman’s 4.6 million citizens by the end of April.